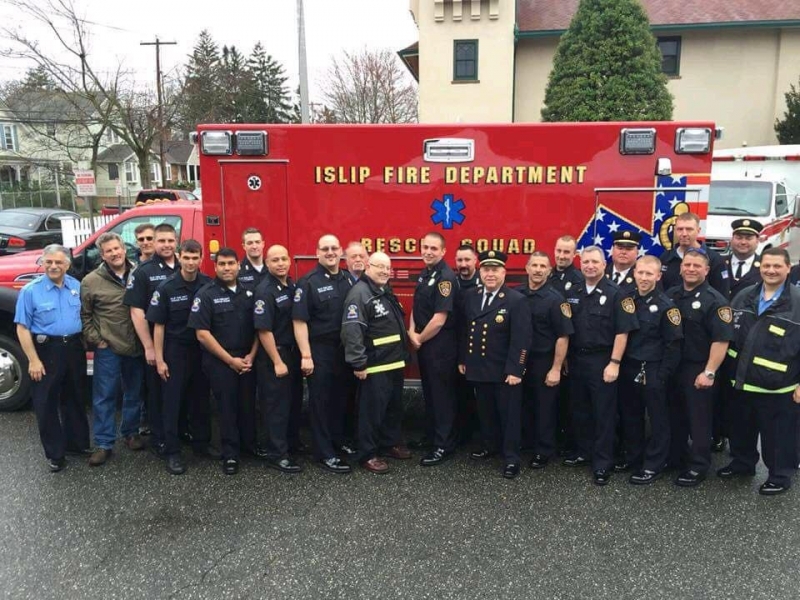 On Saturday April 2nd 2016 the Islip Fire Department Rescue Squad held a celebration at fire headquarters to mark its 75-Years of Service as well as hold a ceremonial Wet Down of new Ambulance 3-4-3. 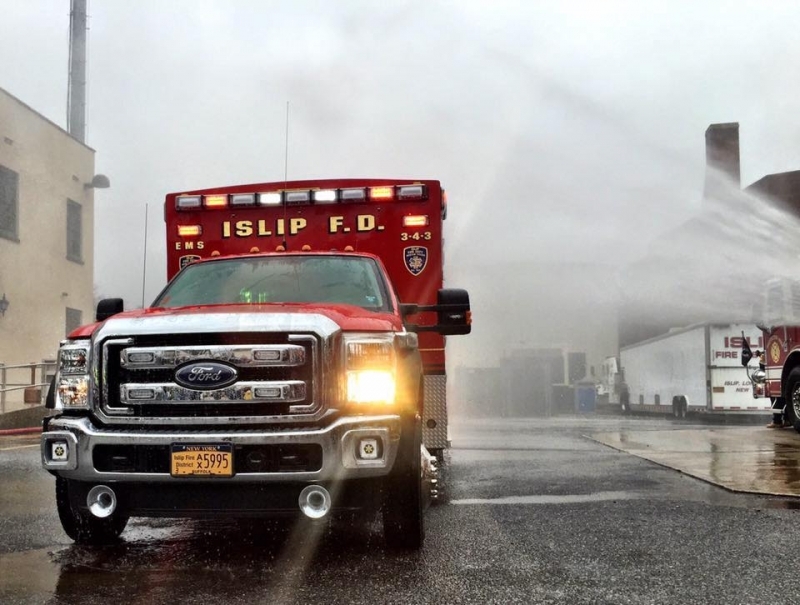 The Islip Fire District along with the help of Senator Boyle's office purchased a 2015 Ford F450 4X4 Braun Chief XL Type I ALS Ambulance. This vehicle replaced a 1997 Ford E-Series Van that had outlasted its service life. 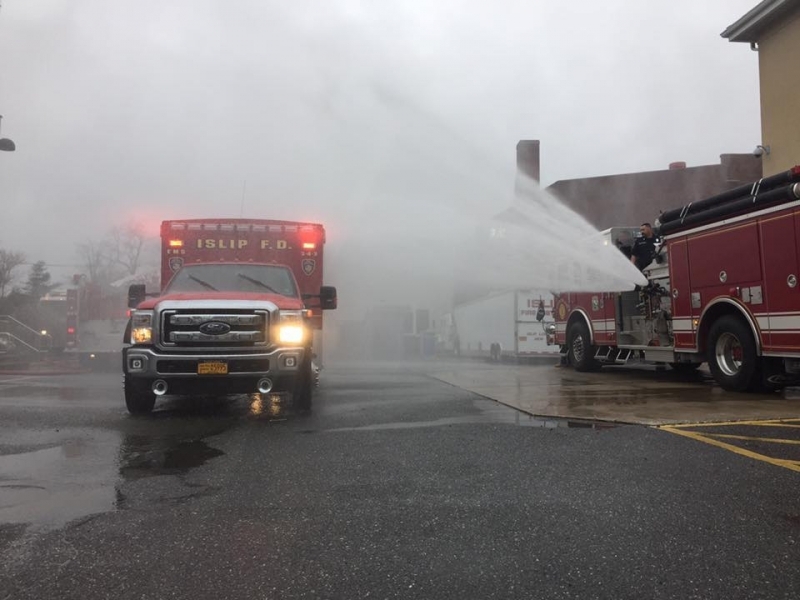 The new ambulance will be vital for the Islip Fire Department's ability to continue to provide the highest quality medical care to the residents of the Islip Fire District. With the large snow storms and flooding that has plagued the district in recent years this vehicle will make medical response safer and more efficient. 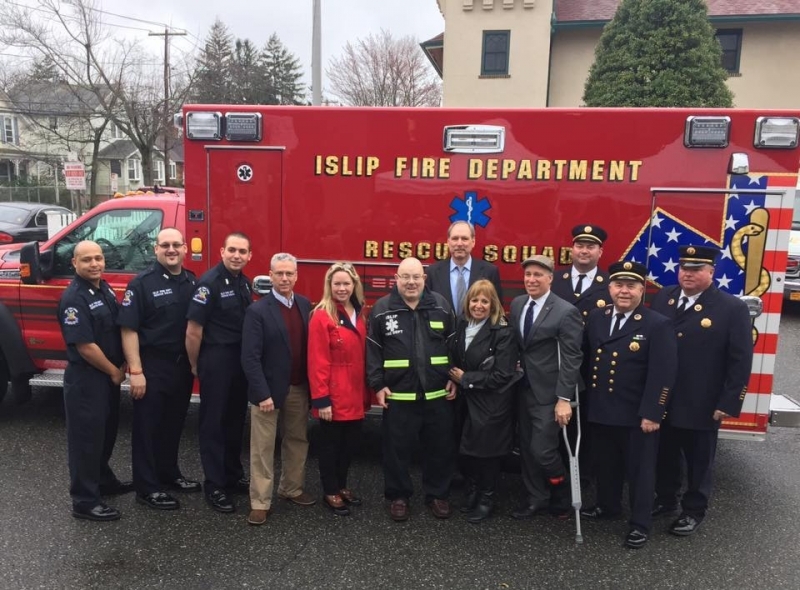 The Islip Fire Department chose to honor Ex-Chief Richard Ackerson Sr, a 59-year member of the Islip Fire Department, by dedicating this new ambulance to him. Ex-Chief Ackerson was the first member of the Islip Fire Department to achieve 50-years of service to the Rescue Squad. He was presented with a plaque by Rescue Captain Jared Gunst, which will be remade in bronze and permanently affixed to this new vehicle as a constant reminder to all of his dedication and service. Chief Ackerson also received commendations and proclamations from Senator Boyle's office, Islip Town Supervisor Angie Carpenter as well as town Councilwoman Trish Bergin-Weichbrodt and Councilman Steven Flotteron, Legislator Tom Cilmi, and a representative from Suffolk County Executive Steve Bellone's office. Board of Fire Commissioners Chairman Frederick Herrmann presented the keys to this new vehicle to Rescue Squad Captain Gunst and Ex-Chief Ackerson officially christened the vehicle breaking a bottle of champagne over the bumper. Special thank you to the staff of Braun Ambulance Cooperation, Nassau Fire Apparatus, Ferno, M. Norris & Sons, JMR Graphics, and Telecom Communications Inc. for their work on this vehicle. The ambulance officially entered active service on April 14th handling its first call for service.